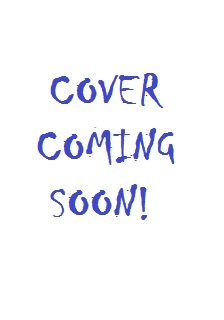 Lonesome Train - A new horror/supernatural anthology coming soon from Thirteen O'Clock Press! 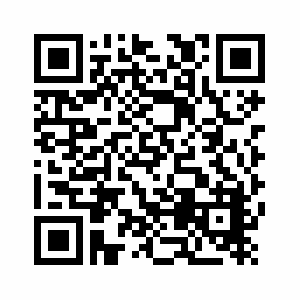 Synopsis: A Southern Gothic short story about a girl having a difficult time appreciating her mother's advice. Tales by the Tree - A new holiday-themed anthology from BHC Press! Synopsis: A bittersweet story of a young girl trying to deliver a special Christmas gift to her mother - and she's running short on time! Beyond the Shroud - It's here! At least on Lulu... If you like mummy stories this might be one for you! From Pilgrim Off-Fifth Press! Synopsis: An archaeologist makes a startling discovery with the help of a local man. Coincidence? Set in western Egypt, my story will leave you hungry for more! X VI (or X Six) - A new horror/supernatural anthology coming soon from Thirteen O'Clock Press! I should have both a poem and a story in this one - the publisher has been trying to fill this for quite some time, and it may be ready soon! Synopsis: A very short poem about everlasting love. And death. And it rhymes. So, if that's not your thing, there are a few other stories in the collection you might like! The story Closure is a about a young woman dealing with a tragic experience as a child. They say you can't go back. And even if you can, well, maybe you shouldn't! 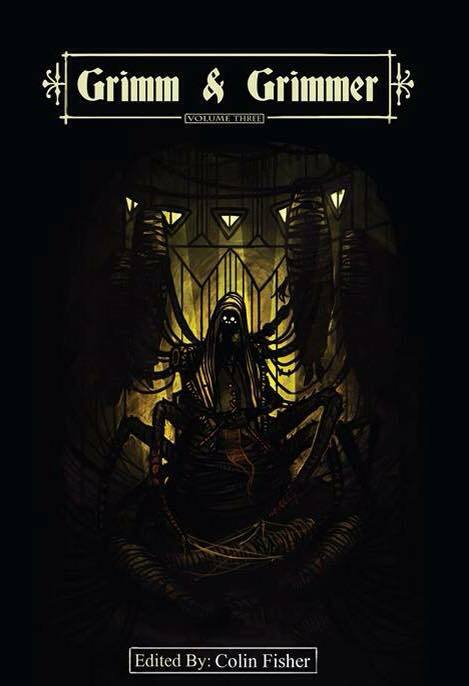 Death and Decorations - A new anthology of holiday horror from Thirteen O'Clock Press! Synopsis: A young street waif, Melanie, sells her homemade Christmas ornaments to help feed her little sister - so she says. But her sister isn't the only one who is hungry! Human 76 - A shared-world, post-apocalyptic anthology by 14 authors based on an original idea by Lisa Shambrook. A young woman, Ghabrie, searches for her lost sister in an often-unfriendly world! 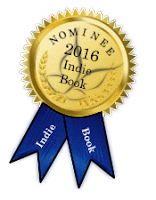 Each author's story is entwined with the story of her quest! Synopsis: Maeve, young and naïve, arrives from the barren Northlands to live with her cousin, Kendra. She is forced to grow up quickly when a blossoming relationship ends tragically, confronting not only the dark forces of the Alliance, but Human 76 herself! Note: All proceeds from this book will go to Water is Life, a global charity that provides clean drinking water, sanitation and hygiene education programs to schools and villages in desperate need. Nominated to Metamorph Publishing's 1st Annual Summer Indie Book Awards! 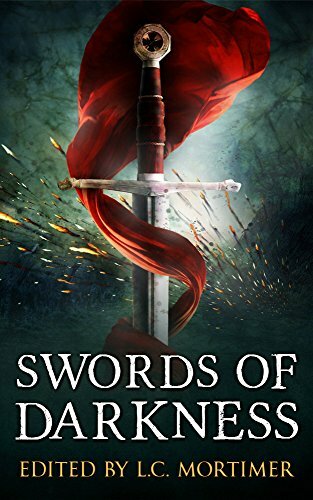 Swords of Darkness - A fantasy anthology by L. C. Mortimer full of stories about swords! My contribution is The Sword of Hexworthy Manor, a short story about a 14-year-old girl whose great imagination leads her into a real adventure. Available from Amazon and Kobo! Synopsis: Gwendolyn can imagine almost anything—except what happens when her grandfather presents her with a prized family heirloom—a sword! Grimm and Grimmer III - A horror anthology by Fringeworks containing my modern-day remake of The Fisherman and His Wife. Available from Amazon! Synopsis: Ralph and Wanda don't have the best life together, but they've learned to make do. When Ralph catches a magic fish, however, Wanda's greed has her barking up the wrong tree! 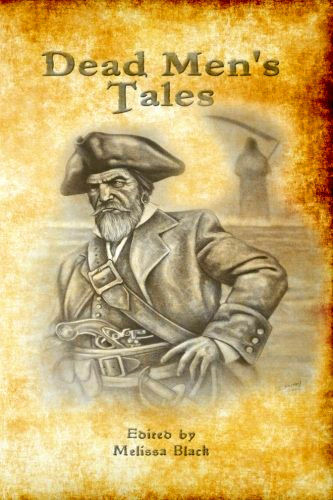 Dead Men's Tales - A pirate-themed anthology from Fringeworks with my short story Skarett's Treasure. Synopsis: Life hasn't gone the way Thomas had hoped, but when unforeseen circumstances bring him to the beautiful Maria's door, he begins to think his luck has changed. His situation looks even better when, under Captain Skarett's command, he finds a valuable treasure. The way it all works out, however, is just a little hard to swallow! Synopsis: It takes a while for Brad to understand Zoe's health problems, but when he does, he not only makes a friend, he stops a bully. 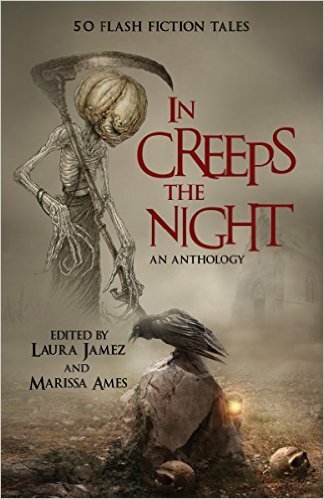 In Creeps the Night - A Halloween-themed charity anthology of flash fiction by BHC Press (originally by J.A.Mes Press ). 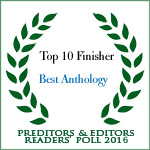 This anthology has 50 stories, so all of the authors will not fit on the Amazon page. If you do the "Look Inside" on Amazon's listing, however, you can view the table of contents where you will find my story - and many others! Synopsis: Sometimes it's the kids who are wary and parents are the ones who are too trusting. Throw in an evening of trick-or-treating, and it all ends up being a pain for dear, old Dad! I didn't write a word in Terri Deno's Unfolding Life, but I did do the artwork... (yes, I need a little practice (okay, a lot of practice), but it was fun!). 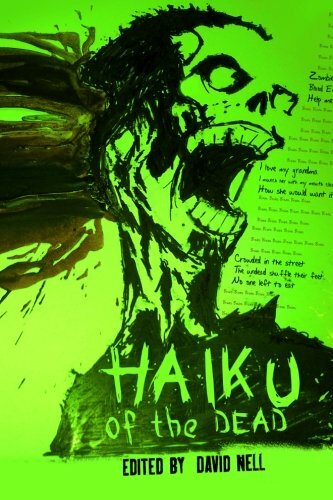 Haiku of the Dead - A collection of zombie-themed haiku by Dreamscape Press. 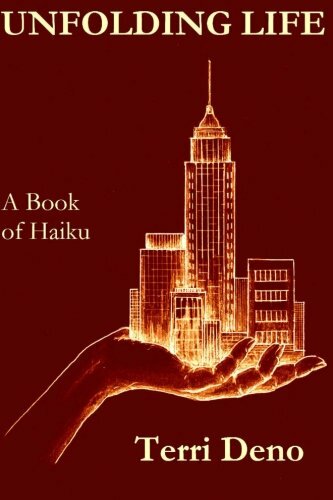 Yes, I have a haiku about zombies in this collection... (I'm not sure I want to tell anyone) Unfortunately, this book s not available as an inexpensive e-book, only as a paperback. It appears the publisher is no longer active. You can probably guess why. 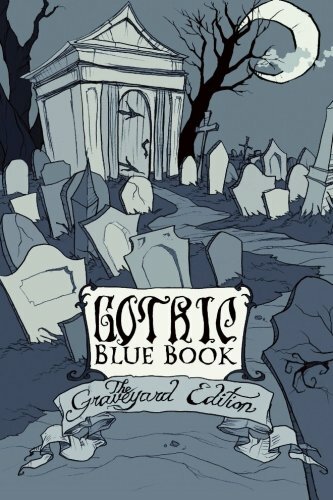 Gothic Blue Book III - The Graveyard Edition - An anthology of horror by Burial Day Books. Synopsis: A young lady remains true to her word—and Jack gets the short end of the stick.